Elena Linares is the founder and CEO of RAZZLEDAZZLE Barbershop. In 1983, she escaped from New York with her eldest son to flee from her abusive husband and arrived in Miami, where she found refuge at Safespace Foundation, a shelter for battered women and their children. She obtained a position at Supercuts, rapidly climbed the success latter and became a senior educator. Her goal of becoming a Supercuts franchisee was achieved in 1989. Due to her tireless work ethic she became an extremely successful award-winning franchisee with 12 Supercuts throughout Puerto Rico and South Florida. Always the visionary, Elena took advantage of a niche in the beauty industry and in 2008 created RAZZLEDAZZLE Barbershop, an oasis where men receive pampering with an edge of sexiness. It didn’t take long for RAZZLEDAZZLE Barbershop to become one of the most popular barbershops in Miami.  Elena’s success and rapid growth has been recognized by the Miami New Times as Best Barbershop of the Year two years in a row. Elena has been featured in CBS Miami, WSVN-TV, Deco Drive, NBC 6 South Florida, América Tevé, Despierta América, Reality Series Wake Up Call, El Nuevo Herald, Miami New Times, The American Barber, The Rachael Ray Show, Selecta Magazine, Brickell Magazine, Haute Living Magazine, Miami.com, Thrillist.com, AskMen.com, BizBash.com, to name a few. RazzleDazzle Barbershop employs people from diverse backgrounds and serves as a business model for economic growth. Because of her efforts and positive impact in the community, she was nominated for the 2012 Businesswomen of the Year Awards by AXA Advisor Group through the Coral Gables Chamber of Commerce. Elena’s humble spirit is manifested by her undying support of local organizations that provide assistance to the less fortunate. She volunteers her time and donates proceeds to local organizations that include, but are not limited to: Safespace Foundation, Inc., Children’s Hospital, Lotus House and the back to school programs with the City of Miami Mayor’s office. She also dedicates time to mentor students at Beauty Schools of America and Paul Mitchell Tech. Elena’s compassion is measured only by her generosity to others. Her unmatched enthusiasm for life and dazzling personality speak for themselves and bring optimism to all those she touches. Her spirit animates everyone she meets and brings a joyous, almost magical ambiance anywhere she goes. Elena is a serial entrepreneur who is committed to establishing the most successful franchises in the beauty industry. Elena’s dedication to her staff is obvious by the love and respect they all share for her. Elena’s love for others is evident by the mutual love and appreciation they have for her. Elena is an aspiring leader, entrepreneur and mother who is committed not only to her success, but the success of others.